Most students with winter break homework spend as long as possible ignoring it. But during the first week of her December vacation, Victoria Johnson, a ninth-grader at Summit Sierra in Seattle, was already locked in her room crafting a stock market portfolio for class. Victoria returns to the classroom Tuesday. But unlike traditional public school students, the high school freshman and her roughly 1,300 peers in Washington state charter schools don’t know how long they’ll get to stay there. During the holidays and midpoint of the school year, this uncertainty has incubated a range of reactions from families: frustration, advocacy, educational opportunities and caution. After a September state Supreme Court decision ruled Washington’s charter schools unconstitutional, students and parents have been thrown into limbo land. Some 400 young people, parents and educators met with legislators and rallied in Olympia in late November, but the court declined to reconsider the case. Despite the anxiety and upset, families and educators are treating the experience as a civics seminar while attempting to maintain a classroom environment that’s as normal as possible. Miles is one of many students who’ve helped advocate for their schools. Students visited Olympia and wrote letters to their representatives. Most recently they mailed hundreds of handmade postcards and delivered cookies to legislators, encouraging them to keep their schools open. Families are finding it’s not just state lawmakers who need to be won over, but the public, who often have misconceptions about charters. Wilson recalled a conversation with her sister during Christmas, when she had to explain that charters aren’t private schools without regulations or accountability. Wilson said she hears the word “illegal” often associated with families who put their children in charters. Even some parents who now support charters remember being hesitant when the schools were first proposed in Washington. Johnson voted against charters in 2012, thinking they’d become elite schools for white students. Miles’s father, Jason Nelson, initially viewed charters with skepticism and was worried they might serve as a segregation initiative. “But watching it play out, I’ve learned charters are a worthwhile supplement, though not a replacement for public schools,” Nelson said. Two-thirds of charter school students qualify for free and reduced-priced lunch while nearly 70 percent are students of color, according to Act Now for Washington Students, a coalition formed to preserve the schools. Wilson and Nelson said they sought alternative education for their son Miles after finding discrimination at their local public schools. Wilson said she thinks teachers assumed she wasn’t invested in her son’s education because Wilson and Miles are African American. Teachers would tell Wilson her son had problems reading without offering solutions and would decline her offers to assist in the classroom, she said. The bureaucracy of traditional school districts made seeking specialized assistance for Miles time consuming, expensive, and aggravating, the family said. 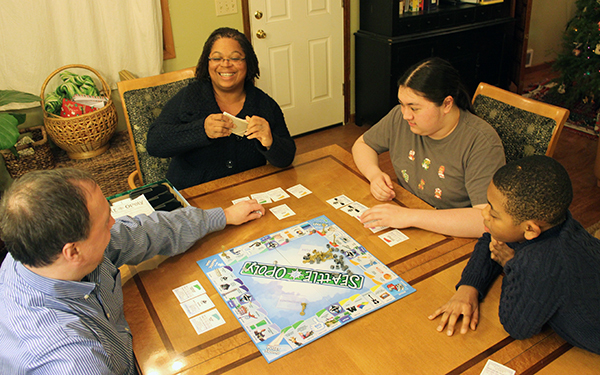 From left, Jason Nelson and Shirline Wilson play the board game Seattle-opoly with their children Allen Morishima-Nelson and Miles Wilson at their home Dec. 27. Allen, 17, attends Chief Sealth International High School and Miles, 11, attends Rainier Prep charter school. Johnson, who is also from an African American family, sent her daughter Victoria to a traditional public school, then a private school, but was dissatisfied with both. While the public school was too large for Victoria’s social and learning needs, the private school had only a handful of students of color. 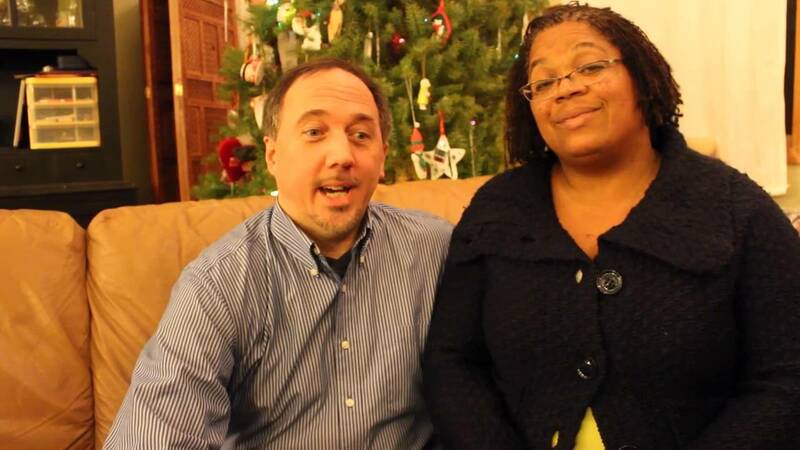 “She couldn’t have diversity and a good school until she came to Summit,” Johnson said. 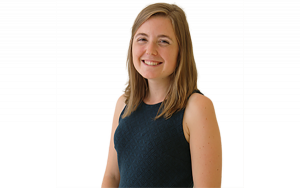 Not only does Victoria now thrive under the close weekly guidance of a mentor at Summit Sierra, but she’s also learning the benefits of a diverse classroom. A civics lesson let students share their experiences of discrimination, which created a more inclusive community among them, Johnson said. Diversity isn’t the only attractive feature of charters — small class sizes, college preparation, and close mentoring convince many families to sign up for these alternative classrooms. Jeff Bunch, a parent at Spokane International Academy, has sent his children to a smorgasbord of U.S. educational models: traditional public schools, alternative public schools, private schools, and charter schools. Like many Washington state charters, this is Spokane International Academy’s inaugural year. The school currently enrolls kindergarteners, first graders and sixth graders, and the school’s head, Travis Franklin, said it’s best to be cautious when engaging students about the school’s future so they’re not left with anxiety and no solution. 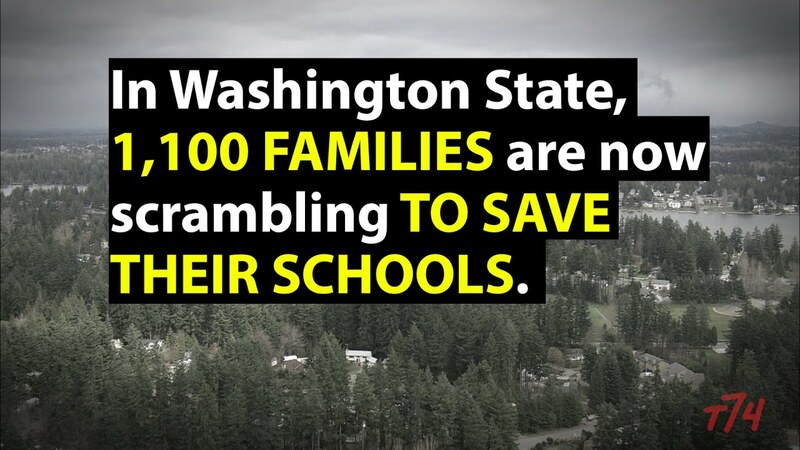 Franklin said that rather than let his students be poster children for the worrisome face of Washington charters, SIA partnered with the Washington State Charter Schools Association to fly the sixth-grade student government to Olympia to meet with legislators. Despite the rocky future ahead, families aren’t abandoning their charters, school heads report. Maggie O’Sullivan, Rainier Prep school leader, says she receives many questions from families about what’s next, but also consistent support. While Johnson is continuing to fight for her daughter’s charter school, she has an optimistic attitude that even if the schools can’t be saved, every day school’s in session means one more day her daughter feels she’s in a place where she belongs. Miles too has shown enthusiasm for his charter school, Rainier Prep. 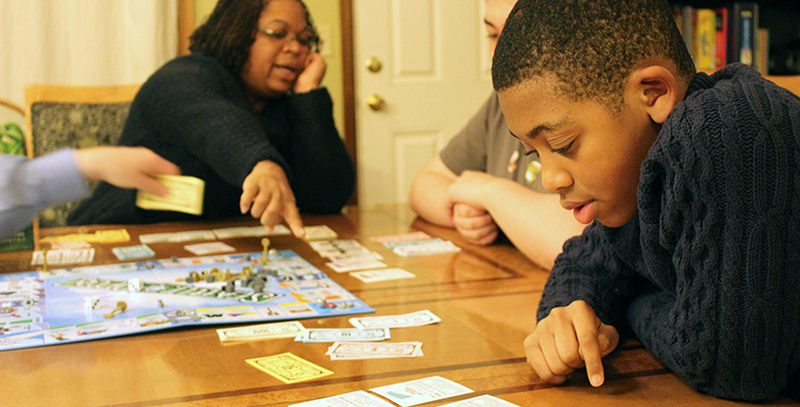 Miles, now a fifth-grader, wasn’t interested in science class until this year — something he attributes to his passionate teacher, Indi Ekanayake. He’s also enjoyed some unique assignments offered by Rainier Prep, including a review of the Disney movie “Pocahontas”, in light of a reading assignment from an alternative perspective on American history. As the New Year holiday ends, another year begins. Eight of the state’s nine charter schools have discussed partnering with the tiny Mary Walker School District in eastern Washington as a temporary solution that will keep them open through the end of the school year. The eight would forgo their charter status to become Alternative Learning Experiences, but the partnership would allow them to remain public schools while retaining some autonomy and still receiving state and federal dollars. But the more permanent fix — preserving charters schools as approved by voters in a 2012 state referendum — rests with the Washington state legislature, which convenes Jan. 11. The next lesson in civic engagement for charter school families awaits.